Kolink Valve, specializes in the design and manufacture of industrial Valves, is building up a reputation for quality and economical products in global market. With technical know-how and over 3-decade experience, Kolink provides a range of Gate Valve, globe valve, check valve, ball valves, knife gate valves and specialty valves, which comply with API, EN, JIS, ISO standard. The innovative products are applied to gas, oil, refining, chemical, power generation and pipeline transmission industries, and exported to over 40 countries, e.g. USA, Germany, Australia, UAE, Singpore, Brazil, South Africa. 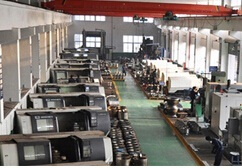 Being the subsidiary of Zhongquan Group, Kolink Valve runs a quality system in compliance with PED 97/23/EC, API 6D and ISO9000 standards, coming through the whole process from casting supply to final inspection and testing, with the adoption of CAD system, CNC machines and various testing gauge/machines. Kolink`s mission is to offer a cost-effective industrial pipeline solution, by combining product quality with value-added customer services. 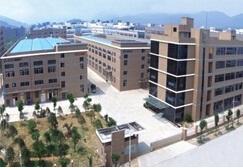 Company Name: Wenzhou Kolink Valve Co., Ltd.